Accumulating Retirement Assets: Retirement can signify a lot of things to a lot of people: sailing off into the sunset with your beloved; never having to worry about waking up early to catch the morning train; finger-painting with your grandkids. But to make these dreams a reality, you'll need to create a nest egg that will make your retirement years as comfortable, if not more, as when you were working. Essentially, it's never too early to think about saving for your golden years. As the average lifespan increases, you should be prepared to put aside more to accommodate a longer retirement. We understand the importance of having enough to spend during your retirement. That’s why we offer a variety of insurance and financial products that can help you fund your retirement, and make the money you’ve worked for years to save go even further. Creating a Lasting Legacy for Loved Ones: With hard work and careful planning during your income-earning years, you may have built a healthy nest egg, sufficient to ensure a comfortable, independent retirement. You may actually be in the enviable position of being able to leave something to those you love the most: your spouse, children, grandchildren, and perhaps your favorite charities. Now's the time to seize the moment and put together a plan that creates a legacy for those you love. Your Child ren's Education: Consider this scenario: The car's packed and the teary good-byes have been exchanged. You may feel as though your baby's leaving you, but this is one of the proudest moments of your life. You've scrimped and saved to afford your child's education, and now that the day is finally here, you can breathe a sigh of relief. Thank goodness you planned ahead and started saving early so that the next four years won't be so financially stressful. Now, consider the alternative: What if you didn't plan? Then those next four years could be your worst nightmare, turning into a juggling act of student and parent loans, financial aid requests, and semesterly payments. Fortunately, we understand the importance of funding your children's education, and, therefore, offer a selection of products to help you meet that goal. Of course, we can't promise that you won't get the occasional phone call, "Mom? Dad? 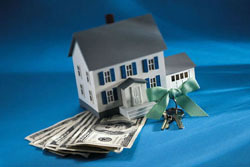 I'm a little low on cash.…"
Safeguarding Your Home Mortgage: There's nothing like the feeling of owning your own home. It's a part of the American Dream - to live in a home that you can truly call your own. Between picking out curtains and paint samples, you should also remember that your house is an investment. Your home represents many things – a place to raise a family, comfort, and a major financial commitment. Like other valuable assets in your life, it too needs to be protected. Realizing how important your house is to you and your family is the first step. Deciding on ways to safeguard your investment is an important step that will help guarantee the joy of owning your home for years to come. We can help alleviate some of the worry that comes with ownership. One major concern may be that your family will face difficulties paying off the mortgage in the event that you pass on. One of the ways to help assure your family's financial security is to consider life insurance products as mortgage protectors. 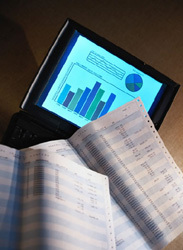 Products such as Permanent Life and Term Life insurance are personally-owned and portable. If purchased in an adequate amount, the death benefit can help retire the mortgage, and also help provide money to cover other expenses. Ensuring your family's future now will help ease your mind, and let you concentrate on the really important things…like choosing between carpet or hardwood floor for the dining room. Need a little help in deciding which products and services would be right for you and your family? Please click here on contact us to fill out the form. We can help you analyze your needs and recommend appropriate products.